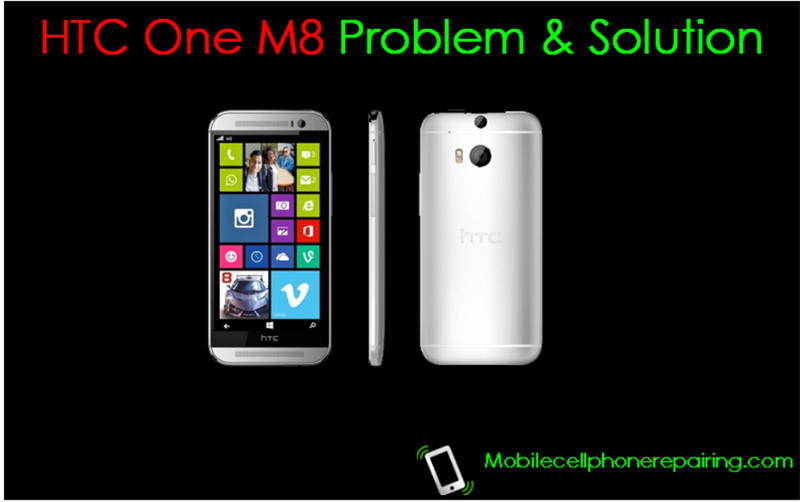 HTC One M8 Problem and Solution – Fixes for most common problems in HTC One M8 Smartphone. Learn Solutions for problems like Aspect ratio errors, hanging, 4G LTE connectivity, GPS, Infrared or IR Blaster, Camera problem, power saving mode, No SIM Card Error, Bluetooth and More. HTC One M8 is among the top 10 most selling smartphone in United States and around the world. But like any other smartphone, like Apple iPhone or Samsung Galaxy Smartphone, the HTC One M8 cell phone too has some problems and bugs. Aspect ratio errors while watching videos in landscape mode causing the video player or the cell phone to hang or crash. GPS not working properly, mainly at night. Not able to find or locate places. Infrared or IR Blaster not working properly, mainly at night. Data connectivity problems on T-Mobile 4G and WiFi. Camera problem. Camera hangs or crash. Problems with portrait view. No extreme power saving mode option. No SIM Card Error. Phone often appears to be in roaming. The cell phone crashes too often. Is HTC One M8 waterproof? Try to use MX video player app. Download this awesome video player from Google Play for Free. If the problem is not solved then try to Factory Reset the Cell Phone. I hope you know how to reset the phone. The Data connectivity problem with T-Mobile seems like a network problem rather than hardware or software problem. The WiFi works fine with most handsets. Try to check the password. If nothing works, then try to reset the cell phone and check. If nothing works then visit the retailer or authorized service center. There seems like some glitch in the software. Try to reset the phone. If the problem is not solved then visit the retailer or authorized service center. Install Universal IR Remote from Google Play for Free and check if the problem is solved. Make sure you have selected the right TV Model. Try to reset the cell phone and recheck. If the camera causes problem in portrait view then do following – Log into the LastPass application > Go to Preferences > Edit App Associations > Select Camera > Change the selection to “Do not show fill window”. If you face problems with using the Duo camera then try to do some practice. Try to maintain some distance between ‘layers’ in an image and it will work fine. If you have issues with the camera resolution then is no good solution to the problem. You may opt for Sony Xperia Z2 or Samsung Galaxy S5. Nothing much can be done with this issue. Try to use the cell phone without Extreme Power Saving. Maybe a software update will fix the problem. Keep checking for new updates by going to > Settings > Software Updates > Check Now. Remove and reinsert the SIM card and check if the problem is fixed or not. Try to clean the SIM card tracks on the PCB by using IPA solution or alcohol. If the problem is not fixed then try to insert another SIM Card and check. The roaming problem may be solved with the next software update. Download another built-in Swype keyboard from Google Play and see if the problem is solved. If you do not want to any other keyboard but just the original default one then > open the SMS app > bring up the keyboard > hold the cog button > the keyboard settings menu will appear > Tap Keyboard Selection > uncheck the unwanted languages. Try to close all the active apps running in the background. Clear RAM at regular intervals. Do not open too many apps simultaneously. If nothing works the try to reset the phone. Delete all previous Bluetooth pairings and try to connect again. No, HTC One M8 Cell Phone is NOT waterproof. It is water resistant to some extent. Try to use a rugged case for safety. I am learning to mobile repair and i Sought Mobile repairing tip’s. Whats is web sites ? ?